My GTI had a problem when the blower would blow out warm air during highway runs up North. Realised that the compressor control valve is faulty as the evaporator have frozen up during the high speed runs. This look like the valve removed from my compressor. 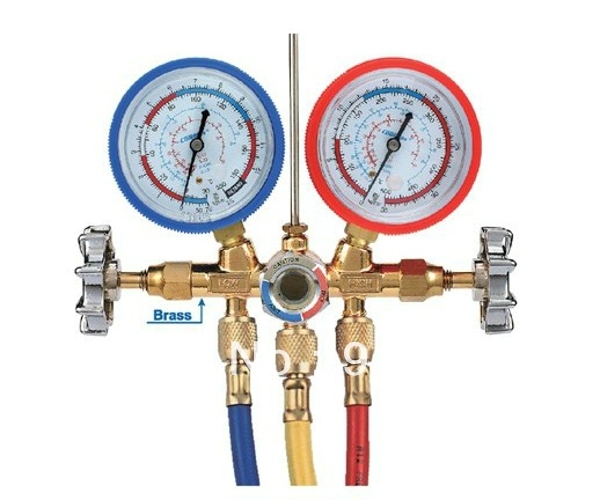 The control valve on the compressor would vary the stroke of the compressor to regulate the amount of gas being compressed. Got a workshop to reduce the amount of R134a to avoid this issue but ended up with air-conditioning not being cold during start up. Only when running for several minutes, the air-conditioning would start to behave normally. 4. Re-charge the system by weight of gas and charge the oil into the system. Any workshop that does modern car air conditioning need these machine. 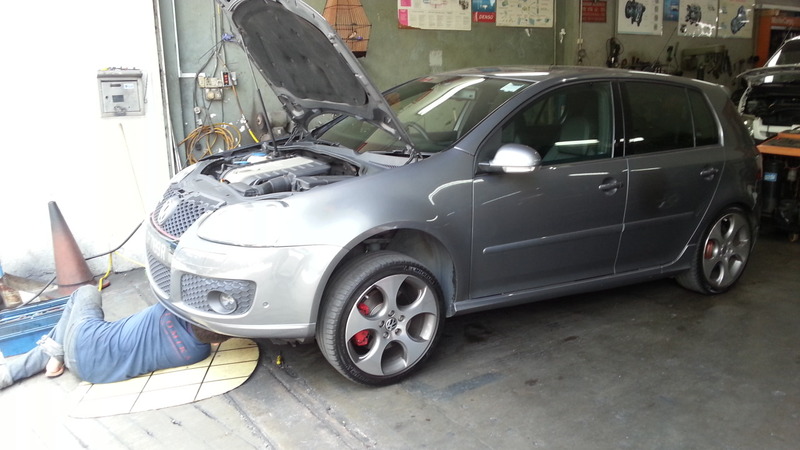 Without them, the workshop will not be able to do proper air conditioning repair or servicing. Using a simple pressure gauge, it is not possible to tell if the system is properly charged with the correct amount of gas which is measured weight....NOT by pressure. Using the old way of reading the pressure to determine the amount of gas is totally unreliable. This old fashion way works with the R12 gas of yesteryear. Working from floor level ! What a life ! The technician was struggling with the car jacked up from the floor, removed the cooling fans and access the compressor from below. 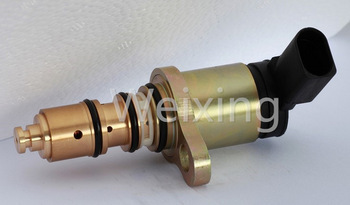 Without removing the compressor, the control valve was removed and replaced with a new part. They said it is a common problem on most variable control compressor and they can prove it ! 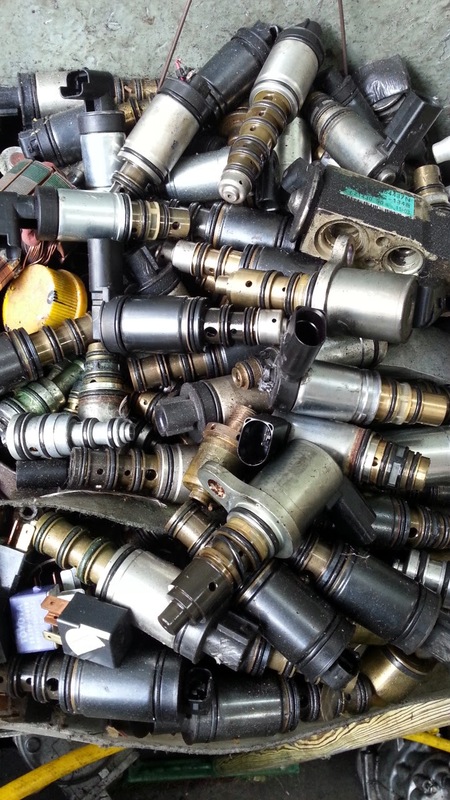 Look at the pile of control valves they have replaced already. Guess which control valve is mine ! 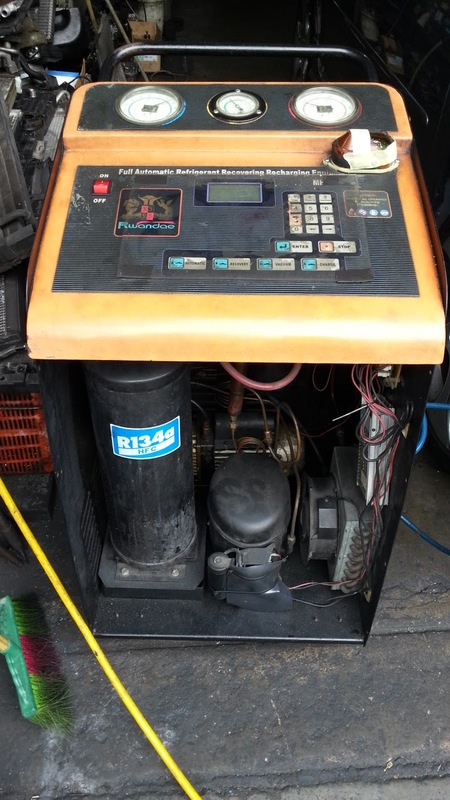 After the replacement, the system was charged with the appropriate amount of oil and R134a gas by weight ! Start up and the aircon was instantly cold ! Even when car was parked overnight or under the sun, the system cooled down very fast compared to previously. Job well done ! Total cost S$280 including GST . NOTE : A good workshop recommends the valve replacement for a not cold function but a bad workshop would ask you to change the whole compressor for obvious reasons. Money well spent ! Only when the compressor is noisy.....would a new compressor be needed. A mechanically damage compressor cannot be repaired. Though I paid S$280 for the work done, the valve shown here is ridiculously cheap....,they worked hard for their money, I am happy !